Do you yearn to live more deeply, to make more of an impact in the world with the daily act of showing up and doing your best work? Do you long for a stronger sense of mission that enables you to pull through the difficult times and live a life of meaning every day? Do you seek more control over the direction of your work and the confidence to go your own way and live the life of an empowered entrepreneur? If you know there is more to life than you are currently experiencing; if you know that the time to step up and stand for what matters is now and you seek to explore what that means with expert guidance, then the empowered entrepreneur retreat is for you. A truly transformational 3 days and nights created to enable you to tap into your innate wisdom, reconnect with your inspiration and sense of purpose, raise your vitality and work in a way that is wholly empowering. Join an intimate group of visionary and creative entrepreneurs who are committed to realising their potential and making a positive impact on the world. Enjoy time and space in exquisite surroundings to prioritise what's most important and work on your business in a way that throws open the doors of possibility. With a guide who has over 20 years experience creating and facilitating transformational retreats, this is personal and professional development at its very best. On the Empowered Entrepreneur Retreat you have time and space to reconnect with what’s most important. To get real clarity around what it means to show up daily as an empowered entrepreneur. With an experienced guide you can learn and explore in comfort and in a wholly enjoyable way. Connect deeply with your values and sense of personal mission as we explore your purpose in the world and what you and your business stands for. Discover the wisdom your body has to offer you and what it takes to master the art of discernment, enabling you to make any decision with confidence and ease. Connect with nature in a more profound and revealing way, tuning in to the season and to yourself as you explore what nature has to offer you as an empowered entrepreneur. Rediscover your innate strengths and internal resources that make for truly empowered living. Play beyond your comfort zone - experience the benefits of stretch for yourself and your business with delightful new experiences throughout the three days. Glimpse what more is possible when you allow yourself to follow your inspiration and think bigger in terms of the impact you are capable of making in the world. 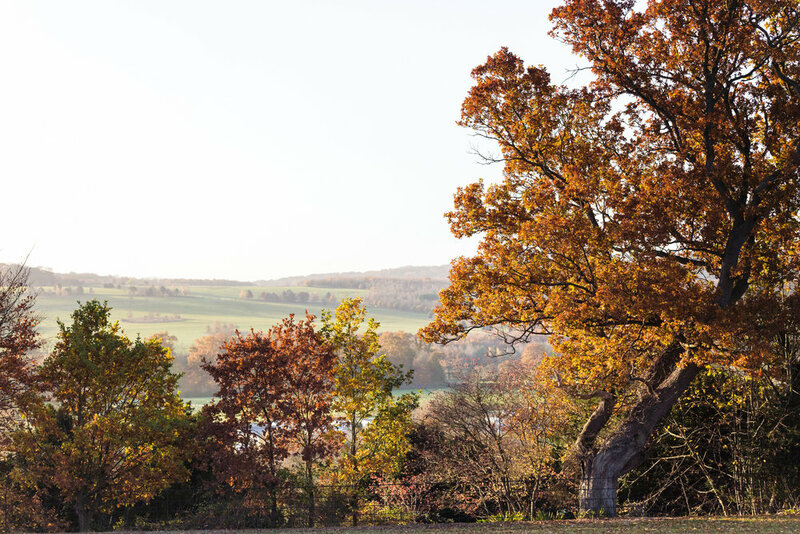 Our retreat takes place at the magical and tranquil haven that is the 42 Acres Retreat in Somerset, UK. I chose 42 Acres because it's not only an exceptional and luxurious space in beautiful natural surroundings with every detail taken care of, but it has heart. And so do it's founders. This really is a place for transformation, for empowered and empowering work and to create magical memories and connections that will last you a lifetime. We have 42 acres for our sole use, so we can be free to relax without interruption and enjoy the space and surroundings. What to expect from your retreat. Workshops to empower you. Expertly facilitated group sessions that will help you re-establish priorities for your work and your life, explore what it means to live life more deeply and on purpose and to tackle those elements that get in the way of you being a fully empowered entrepreneur. Experiences to ignite your inspiration and develop your creativity. Rich and diverse creative experiences including some with guest teachers. I’m deliberately keeping these under wraps for now so you can enjoy delightful surprises. Daily yoga, meditation and time in nature to a enable you to experience the rhythm of an empowered entrepreneur and how when we prioritise our vitality and wellbeing inspiration and growth naturally follows. 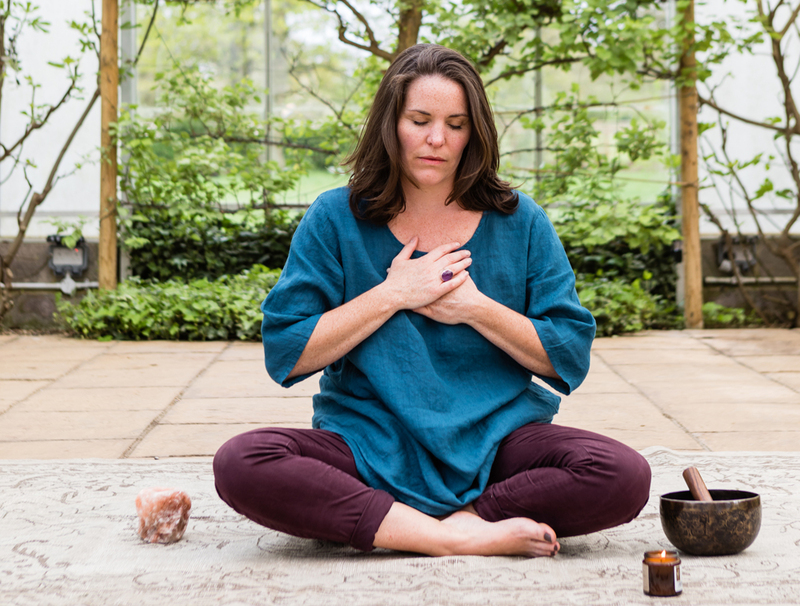 If you are completely new to yoga or meditation have no fear, all our explorations are accessible for anyone at any level of practice and provide the perfect opportunity to start a new foundation and have your questions answered. Incredible food that is nurturing for body and soul. The food philosophy at 42 acres is central to their approach. We have an onsite chef who will prepare locally sourced, delicious vegetarian food fresh for us each day. Time. To think, to rest, to breathe, to move, to write, to explore, to be. A gathering of like minds and kindred spirits. There is so much value in connecting deeply with the right people to move you and your business forward. The connections people make on retreat often sow the seeds for lifelong bonds of friend ship and encouragement. Plenty of laughs along the way. I’m a firm believer that working hard, doesn’t have to feel like hard work. You can work deeply and powerfully without it feeling like suffrage. A sense of humour is definitely required on the journey to empowered entrepreneurship, so expect plenty of light hearted laughs during our time together. "Working with Elizabeth helped me to voice my dreams - sometimes with great surprise to myself! Together we soared through the skies on what some might call great flights of fancy, but they were my souls true calling. Then she gently guided me through a process that crystallised that plan and helped me on a pathway of action that has brought my dreams into reality. Elizabeth's talents lie in containing your anxieties and helping you find your place of courage. While you are floating among the clouds, high as a kite, you know she has the other end of the string and you are safe. She's holding you. Ultimately trustworthy and deftly skilled - the work you do with Elizabeth will last you a lifetime"